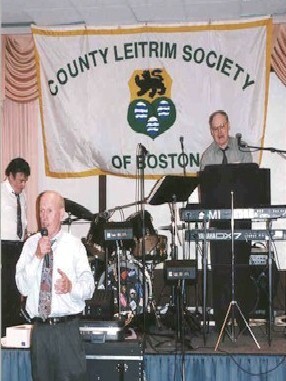 Outgoing President Jim Gallagher address's the crowd. 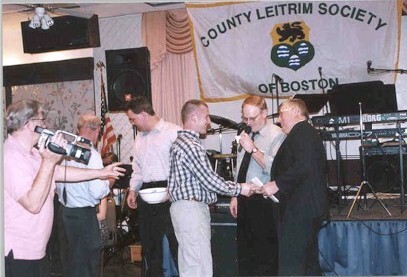 Michael Gill wins the membership raffle of a round-trip to Ireland. 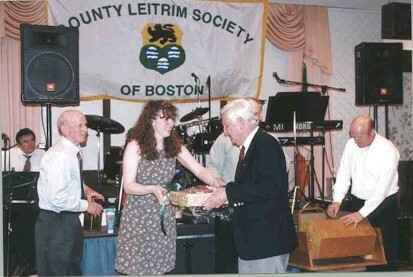 The second round-trip ticket to Ireland was won by Catherine Meceli. 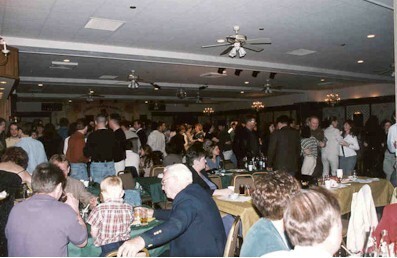 Around 400 people attended the April Spring Dance at Concannon's Irish Village, Norwood, MA. Incoming President Theresa Mawn presents a prize. 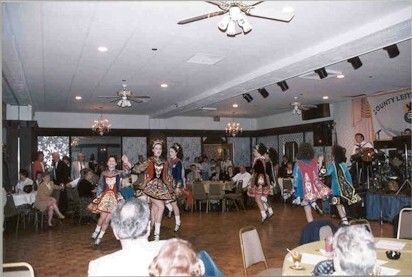 Traditional Irish stepdancers perform at the Dance. Thanks to Michael Costello for taking the photographs.